There may be no greater moment in Afghan history to be alive — certainly, there has never been a more meaningful time. 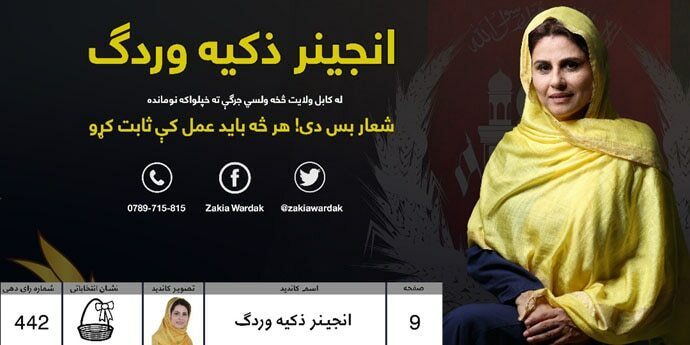 I had the privilege of running for a seat in Afghanistan’s Wolesi Jirga, the House of the People, on October 20. I was among the 108 women candidates running for 9 seats in Kabul. No, I don’t want to be subject to ridicule or violent threats. But my family has always served the Afghan people. My father Abdul Ali Khan Wardak was a general who fought the Soviets until he was killed. My brother Zalmai Wardak, a general and one of the brightest military analysts in Afghanistan, was assassinated. My husband, Seraj Wardak, also served in the military and always wanted Afghanistan to be united. He left politics to serve the Afghan people — building schools, clinics and orphanages. He passed away eight years ago. If people like me were to be scared off serving, it would be an abandonment of our country. So, I decided to run. So much is happening in Afghanistan — terrorism; a struggling economy; negotiations with the Taliban; regional dialogues; the upcoming debate over renewal of the Bilateral Security Agreement with the United States. I feel well-prepared for these discussions. I hold a master’s degree in architecture and my work has focused on building spaces for communities to cohabitate, live together with diversity. For the past 17 years, I have been a small business owner, working with the Afghan Women Chamber of Commerce and Industry on local economic development projects for the betterment of our community. I advocated the cause of women when some policies were not friendly to female-owned businesses. Through my experiences, and my life as a mother, I realised I’m an excellent negotiator. I would be one of the most focused observers, attentive listeners and determined analysts to represent Afghan women in possible peace negotiations. I could represent Afghanistan in dialogue, review security agreements from a worldly perspective, and focus on sustainable economic policies for women and the youth. In many countries, it took centuries for women to vote, let alone contend to become a political figure who can influence policies and build a future for upcoming generations. The international community demand women’s inclusion in history. We now face the tipping point — are we going to improve regional cooperation and enter peace negotiations, or are we going to undo every advance we have made? This answer will decide how the election observers (international and national) find me. Even with the constant drumbeat of judgment and regression, I still hear the spirit for me. I hear it as loudly as when I first truly realised what it meant to be a part of something greater. I hear it thumping as loudly as the hopes beating in the hearts of those who want change. 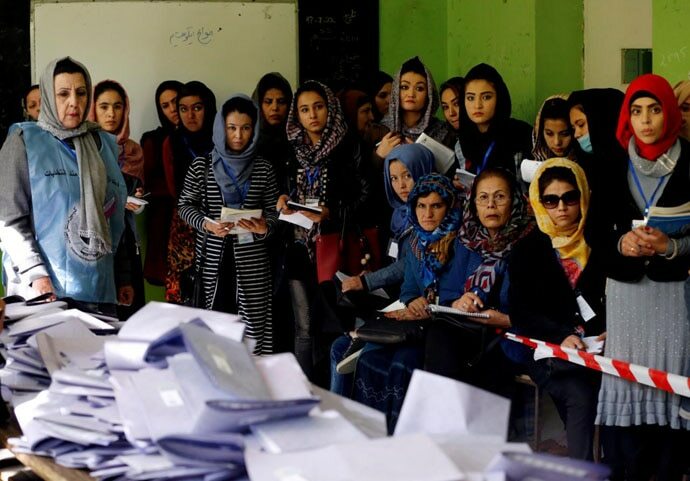 I hear it as confidently as the resilient women of Afghanistan, who registered a 33% voter turn-out. I ran for parliament because I see a tipping point quickly approaching. You should run because you want to tip the scales toward your definition of a brighter future for Afghanistan, the region, and the world as a whole. Run. Run for a political party, a committee, anything. 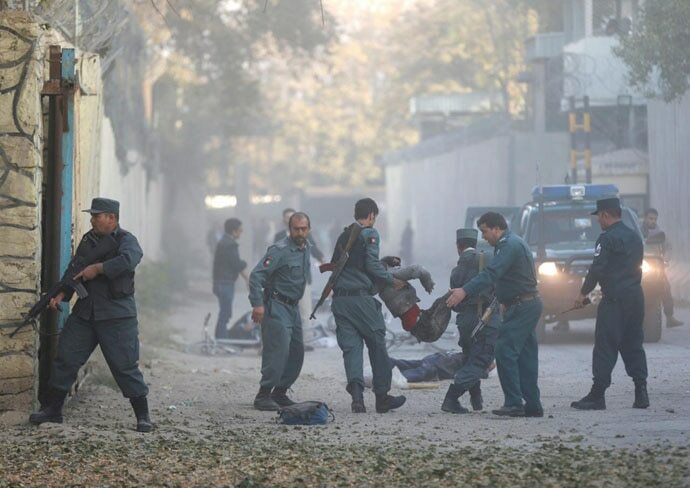 Run because you want to answer the most pressing question of our times: Will Afghanistan evolve and become a peaceful stable nation, or will we continue fighting? I will review and improve policies, I will negotiate, I will look after the best interests of Afghanistan, our region and the world as a whole. Final results of the election are to be released on December 20. Chairwoman for Afghan Somoon Society, previous chair of the Society of Afghan Women in Engineering and Construction, and a candidate for Parliament from Kabul.